Today we are super excited to announce that our bounty audit process has concluded. We will soon begin distributing bounty tokens to over 60,000 participants! All of your hard work has been a key ingredient in the bounty program’s success. For that, we must begin with a hearty thank you! To ensure fairness across all token holders, including token purchasers, and the given complexity of doing an exhaustive and thorough audit, we appreciate the patience that all of you have shown. Fortunately, we have now gotten through this process and can begin the distribution of tokens. Given every one of our token holders are vested, the fact that our bounty program was one of the largest programs, and represents a significant amount of tokens, a vesting of everyone with a total USD value of tokens at or above $50 for a total of 8 weeks is required to be fair to all token holders. We are doing this to be equitable to all of our other early stakeholders who have been vested for even longer terms and have also put in a considerable amount of work in supporting the project. Those having a total token value of below $50 will receive their tokens immediately. For those with over $50 in total token value, the first distribution will take place now, the second distribution in 4 weeks from today, and the third distribution in an additional 4 weeks. The campaign breakdown details are below. Although initially announced as separate campaigns, over the months it became clear that these two campaigns were actually overlapping each other significantly. Participants in the bounty contest created and published content in our weekly calls for content. For this reason, we decided that the only equitable solution was to merge them into one program. All participants in the BTT content campaign have been awarded 500 stakes in the bounty contest for each piece of content that they created. Of these, those who surpassed the bonus milestones specified in the contest were also awarded these bonus stakes. Similarly, all bounty contest participants who surpassed the three milestones specified in the contest have been awarded their bonus stakes. After examining the number of participants and their activity levels in the contest we realized that there were a significant number of fake signups from people who took little or no action in the program. Given that the actual value of the tokens they would have earned is lower than the gas price of the transaction to send them out, we decided to only send tokens to the participants with at least 50 stakes earned. Once combined, the bounty contest participants will be dividing up a total pool of 9,600,000 OPEN tokens valued at $1,536,000 USD. The total number of stakes awarded has been 195,366,399 and each stake in the contest is worth 0.0491 OPEN tokens. The number of participants receiving OPEN tokens from our amazing bounty contest is 60,793. You can view the original BTT Content Campaign Public Spreadsheet here. As stated in our official rules, this campaign receives a total of 900,000 OPEN tokens to be split among all of the amazing and talented people who have helped us prepare OPEN content in over 17 distinct languages. Great job! A total of 88,000 stakes were awarded with each stake being worth 10.23 OPEN tokens. You can view the original BTT Translation Campaign Public Spreadsheet here. Initially, when we launched our bounty campaign rules, we planned on running one unified campaign across all our messaging channels – twitter, telegram, slack, etc. However, as we progressed through the months, we realized that this was not fair. Due to severe security problems, we were forced to abandon slack as a viable place to communicate with our supporters. It was just too easy for scammers and undesirable people to try and take advantage of the real members of our family. Also, we quickly realized that the activity being done by our amazing Telegram community was overshadowing our activity on Twitter. For this reason, we have decided to split this initial pool of 7,500,000 OPEN tokens into two separate pools. The first pool of 2,500,000 OPEN tokens will go towards our Twitter campaign, while the remaining 5,000,000 OPEN tokens will go towards the participants of our awesome Telegram airdrop contest. The Twitter campaign had a total of 1,035,030 stakes with each stake being worth 2.42 OPEN tokens. The Telegram airdrop contest is still being audited and its results will be announced in a separate announcement. You can view the original BTT Twitter Campaign Public Spreadsheet here. Over the last few months, we ran two parallel Bitcointalk campaigns including the elite BTT task force and the signature campaign. We are extremely grateful for the support of our Bitcointalk community. In this campaign, 0.068% of all participants in the bounty (41/60,000) would receive the allocated 12,000,000 OPEN tokens set aside for Bitcointalk. Some of these individuals would each receive hundreds of thousands of tokens. We thought this would be immensely unfair to the rest of the bounty program who have also worked extremely hard and are not receiving similar number of tokens. We took into consideration the concerns of the entire community and investors and our concerns as a team as well. After multiple days of discussion with our team and advisors, we have decided to decrease the total allocation of the Bitcointalk campaign to around 2,000,000 OPEN tokens. Participants in this campaign are still receiving over 25x more than what the average individual in the whole bounty campaign will be receiving. We completely understand that the Bitcointalk community may not agree with this decision, but it was evident an imbalance was in progress and adjustments would be made in our telegram chats. Please keep in mind that you are still being rewarded a significant number of tokens that most campaign participants will not be receiving and that we have done this to ensure fairness between all members of our program who have worked equally as hard. 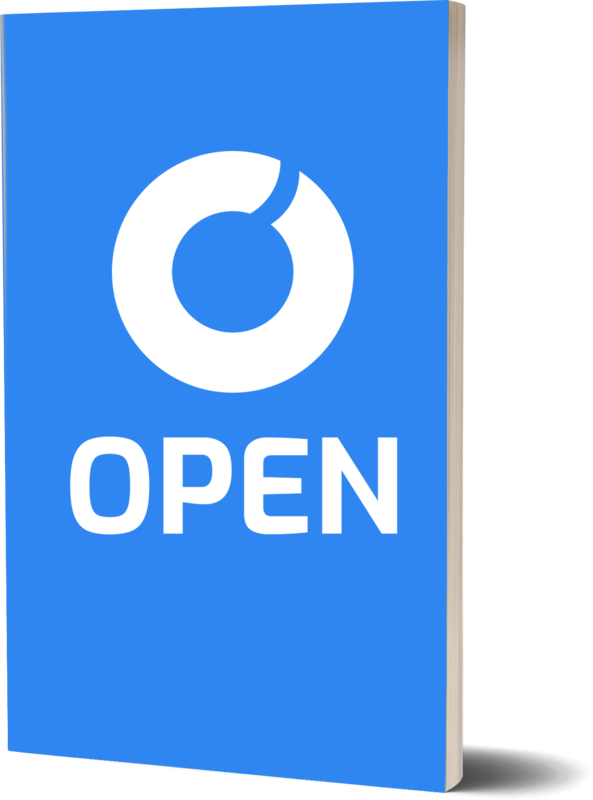 In light of this, we are creating an opportunity for additional bounty of 10,000,000 OPEN tokens to be earned for further developing the OPEN Community for the future of OPEN. We are excited to have a tremendous amount of partnerships and technical updates in the pipeline, and we would love to reward the community more by providing tokens for those who create, share, and translate our content. We will announce more details at the right time, but for now, know that 10,000,000 more OPEN tokens will be used for our community! You can view the original BTT Signature Campaign Public Spreadsheet here. While the bounty program is vested just like all of our other early stakeholders, our bounty program members still have access to the same 2:1 token swap bonus if they register by the deadline and HODL until the token swap event itself. To walk through a scenario, assume you have earned 999 OPEN Token through the entire bounty program. You will get 333 in our first distribution happening this week. If you HODL this 333, and the other 666 you receive over the next 8 weeks, you will be given the 2:1 swap on the 999, resulting in 1998 total OPEN Token at the Token Swap event. You must register the public wallet you used to receive the token distribution for the snapshot program. This way we ensure that Bounty Program members are not being diluted. For any remaining questions, feel free to post on Reddit or ask any team member on Telegram, but we will also be publishing a summary of our Token Swap event soon so please stay posted for that! Please understand that we will be processing a very significant number of transactions over the next few days, so if yours takes a little longer than expected, please bear with us! The entire OPEN team is thrilled with the work that all of you have contributed over these months, and it is an immense pleasure for us to be able to share so much with all of you. We cannot be more excited for what the future holds, and we are excited to share it with our amazing community.